Fees associated with Indonesian PCT national phase entry, as well as other patent fees, are available in the fee calculator. The time limit for entry into Indonesian national phase is 31 months from the priority date. An applicant may restore the missed deadline if an additional fee for late entry into Indonesian PCT national phase is paid. - description, claims, drawings, and abstract. An applicant should provide an Indonesian translation of the PCT application. The translation must be submitted within one month from the date of entry into Indonesian national phase. A signed and notarized Power of Attorney should be filed at the time of PCT national phase entry or within three months thereof on condition of payment of a surcharge. If an application is filed by a person other than the inventor, it is necessary to provide a legalized Assignment Deed between the applicant and inventor. The Assignment Deed may be filed at the time of entry into Indonesian PCT national phase or within three months thereof provided that a surcharge is paid. Substantive examination of Indonesian PCT national phase applications should be requested within 36 months from the international filing date. 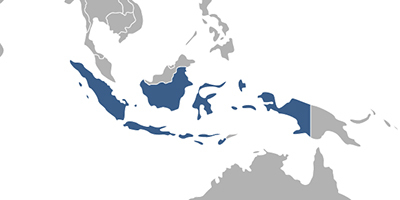 The novelty grace period in Indonesia constitutes six months prior to the earliest filing date. No official grant fee is stipulated. A patent in Indonesia is valid for twenty years from the international filing date. Annual maintenance fees are due each year starting from the first one and are payable after a patent is granted. Annuities which were due before the grant should be paid within six months from the issuance of the Notice of Allowance. Subsequent annual fees should be paid at least one month before the due date (the anniversary of the international filing date). Additionally, an applicant may request a twelve-month extension for payment of maintenance fees (within at least seven days prior to the due date). Non-residents should enter Indonesian PCT national phase through a patent attorney registered to practice before the Indonesian IP Office. 2. Inventions may also be protected as Utility Models (simple patents) in Indonesia. A Utility Model patent is granted for one invention only. The validity term constitutes ten years from the date of Indonesian PCT national phase entry.